On your Signmee form in the payments section, click payment option "POLi Payments internet banking (pay now)"
POLi™ is a great alternative for people without credit cards, or for those who have them - but would prefer not to use them to shop/make a payment online. POLi™ guides the person paying through the payment process. The amount, reference information and banking details are pre-populated. When the payment is confirmed the merchant and customer both receive a completed payment notification. Where will I see POLi option appear? 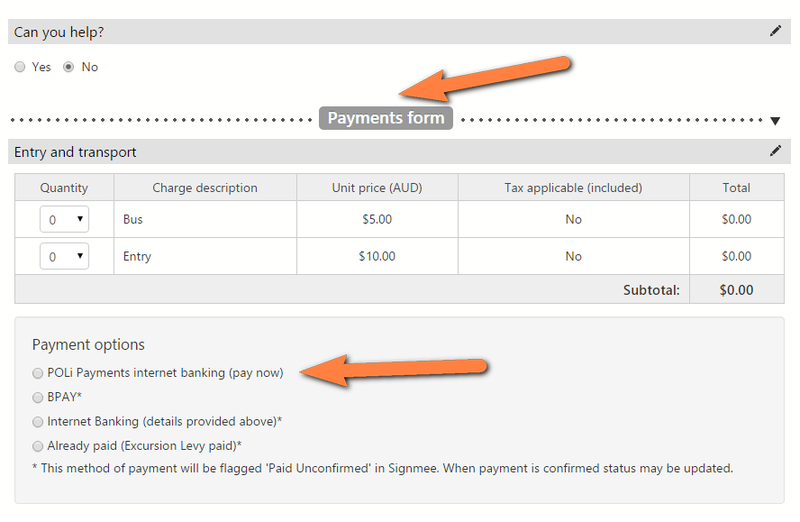 If you are given the option to pay with POLi, it will be listed in the Payments form section (on your Signmee form). See below.